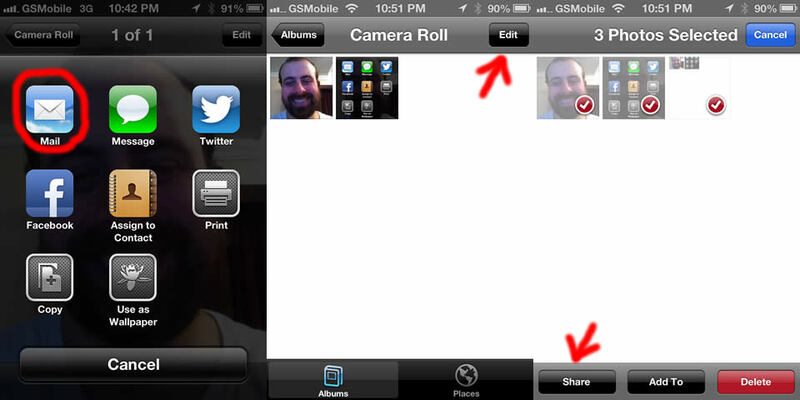 Have you ever wanted to send multiple photos to someone via email on your iPhone? Well today i am gonna show you how to attach multiple pictures to email on iPhone. First thing you need to do is to check what operating system is on your iphone, to do that first go to settings > general > about and you will see the version of your iPhone. This one should send a single picture via email. Well if you want to send multiple photos, then you have to go back to your camera roll (photo gallery) and then click on the edit button which is located at the top right of your screen and then select your photos one by one then finally again click to share button then send them to whoever you want via email. Thanks for reading.